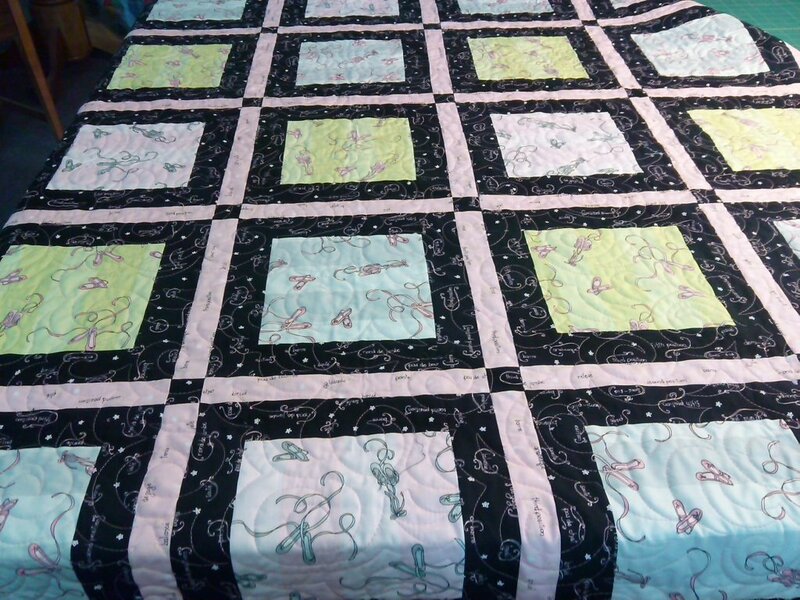 Quilt - Ballet Slippers - 59 x 83 - Squares with Ballet Slippers on Grey Pink and Green. All of the ballet terms are in two of the fabrics. Very pretty cover for a twin bed. Fabric by Henry Glass.